Julian Crouch is a UK born, Brooklyn-based independent director, designer, writer, maker, teacher, illustrator and musician, whose career has spanned theatre, opera, ballet, film and television. 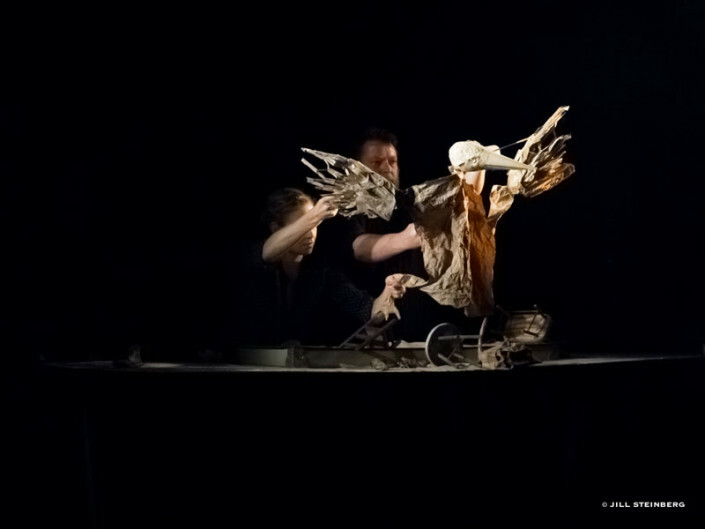 Initially a mask and puppet maker and with much of his life based in London, in the mid- 1990’s co-founded London’s Improbable Theatre Company. Improbable’s productions which included Animo, 70 Hill Lane, Lifegame, Coma, Spirit, Sticky, The Hanging Man, The Wolves In The Walls and Panic, have gained far-reaching national and international recognition. His final production for Improbable which he conceived, directed and designed, was The Devil And Mister Punch. Julian co-created, co-directed and designed the multi-award winning Shockheaded Peter. His opera work has included set design and associate direction for Satyagraha at the ENO and The Met Opera, and creating The Enchanted Island, Doctor Atomic, and staging the 125th Gala for the Met. Other major projects include Jerry Springer The Opera and A Funny Thing Happened On The Way To The Forum for the National Theatre, The Magic Flute for the Welsh National Opera and Cinderella for the Dutch National and San Francisco Ballets. On Broadway Julian designed The Addams Family Musicaland Big Fish. More recently Julian co-directed and designed Jedermann for the Salzburg Festival. His recent set design for Hedwig And The Angry Inch on Broadway earned him a Tony Nomination. This year he designed The Merry Widow for the Met Opera, Le Petit Prince for Lausanne Opera and Mackie Messer for the Salzburg Festival. He is currently designing The Nutcracker for Christopher Wheeldon at The Joffrey Ballet, And King Arthur for the Berlin Staatsoper. Julian was recently Artist in Residence at New York’s Park Avenue Armory and was the first commissioned artist for the BRIC House Fireworks Residency Program in Brooklyn, NY. He has illustrated two books – Jedermann, and Maggot Moon. Saskia Lane is a Julliard-trained bassist, composer, performer and educator, whose work spans many genres. Most recently, the Brooklyn-based artist appeared in two productions this summer at the Salzburg Festival, Mackie Messer and it’s celebrated annual production of Jedermann. Since 2010, Saskia has been a member of the noted theater company, Checkov at Lake Lucille, as performer and composer, and is set to appear in the group’s soon-to-be-released feature film of The Seagull. She also worked for several years with the British-based Improbable Theatre Company on The Devil and Mister Punch, which toured internationally. A classically-trained musician with a strong grounding in jazz, Saskia regularly tours with kids’ favorite Dan Zanes & Friends along with her own much-lauded jazz pop trio The Lascivious Biddies, and has appeared with artists as diverse as Jay-Z and Beyonce, Marc Ribot and the Kronos Quartet. This fall she has the pleasure of touring with famed Bollywood artist Arijit Singh. Saskia’s original compositions have been commissioned for several productions, including José Rivera’s Massacre, the Asolo Repertory Theater’s staging of Macbeth, and Lake Lucille’s renditions of Ivanov and The Seagull. She has leveraged her songwriting expertise since 2008 in her work with Carnegie Hall’s Musical Connections Program, an outreach and education organization that brings music to New York’s homeless and incarcerated populations, as well as other underserved groups. Saskia and The Biddies also created the children’s music education program, The Itty Biddies, in collaboration with and commissioned by Carnegie Hall. The program is now in its sixth year. Oct 14, 2015 - 7pmAn intimate and stunning chamber piece of animated theatre and live music, with two cellos, a sheet of brown paper, and a box of sand. A show about transformation, loneliness, and the urge to fly, BIRDHEART holds a hand-mirror up to humanity and offers it a chair. Through a series of animated images built in front of the audiences' eyes BIRDHEART creates something achingly beautiful from the humblest of beginnings. For its world premier at National Sawdust, Crouch and Lane are joined on stage by extraordinary musicians Mark Stewart and Jeffrey Zeigler. Commissioned by VisionIntoArt and National Sawdust's Curator in Residence program. BIRDHEART was part of the 2013-14 New Victory Labworks Artist Residency and Watermill Artists Residency, with additional support from the St Anne’s Warehouse Puppet Lab, the Henson Foundation and in part, by public funds from the New York City Department of Cultural Affairs in partnership with the city council. Special thanks to the Dillon Gallery. Oct 8, 2015 - 7pmAn intimate and stunning chamber piece of animated theatre and live music, with two cellos, a sheet of brown paper, and a box of sand. A show about transformation, loneliness, and the urge to fly, BIRDHEART holds a hand-mirror up to humanity and offers it a chair. Through a series of animated images built in front of the audiences' eyes BIRDHEART creates something achingly beautiful from the humblest of beginnings. For its world premier at National Sawdust, Crouch and Lane are joined on stage by extraordinary musicians Mark Stewart and Jeffrey Zeigler. BIRDHEART was part of the 2013-14 New Victory Labworks Artist Residency and Watermill Artists Residency, with additional support from the St Anne’s Warehouse Puppet Lab, the Henson Foundation and in part, by public funds from the New York City Department of Cultural Affairs in partnership with the city council. Special thanks to the Dillon Gallery. 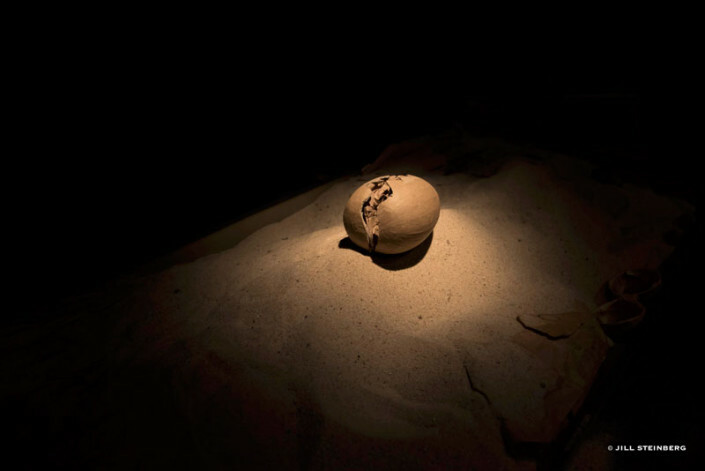 Oct 11, 2015 - 7pmAn intimate and stunning chamber piece of animated theatre and live music, with two cellos, a sheet of brown paper, and a box of sand. A show about transformation, loneliness, and the urge to fly, BIRDHEART holds a hand-mirror up to humanity and offers it a chair. Through a series of animated images built in front of the audiences' eyes BIRDHEART creates something achingly beautiful from the humblest of beginnings. For its world premier at National Sawdust, Crouch and Lane are joined on stage by extraordinary musicians Mark Stewart and Jeffrey Zeigler.